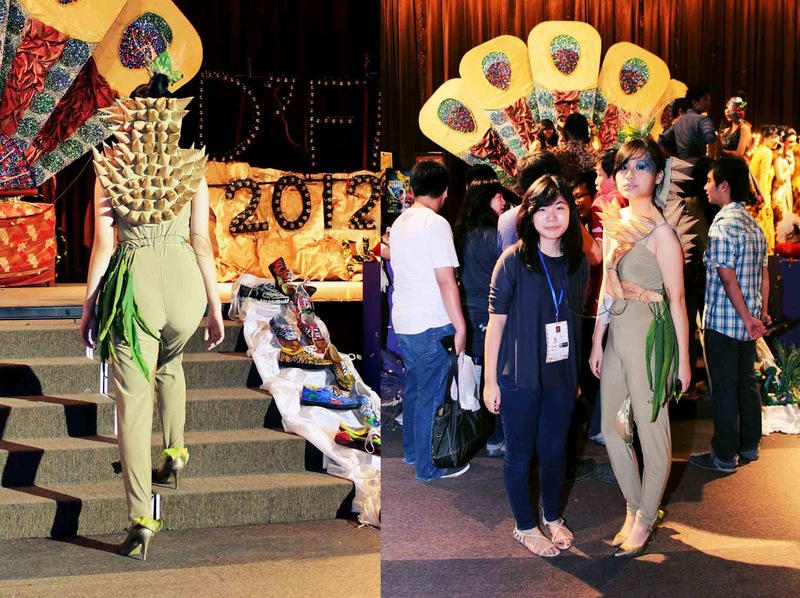 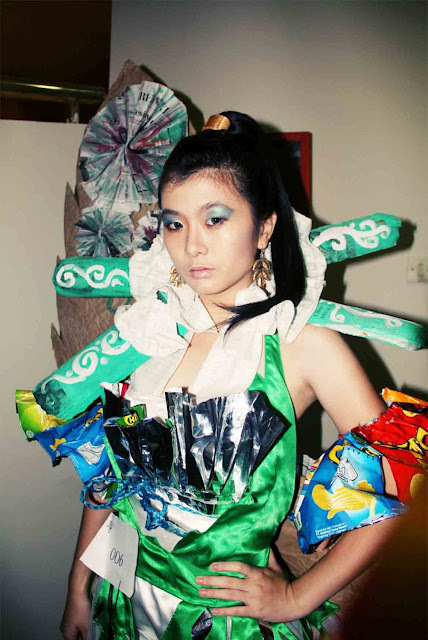 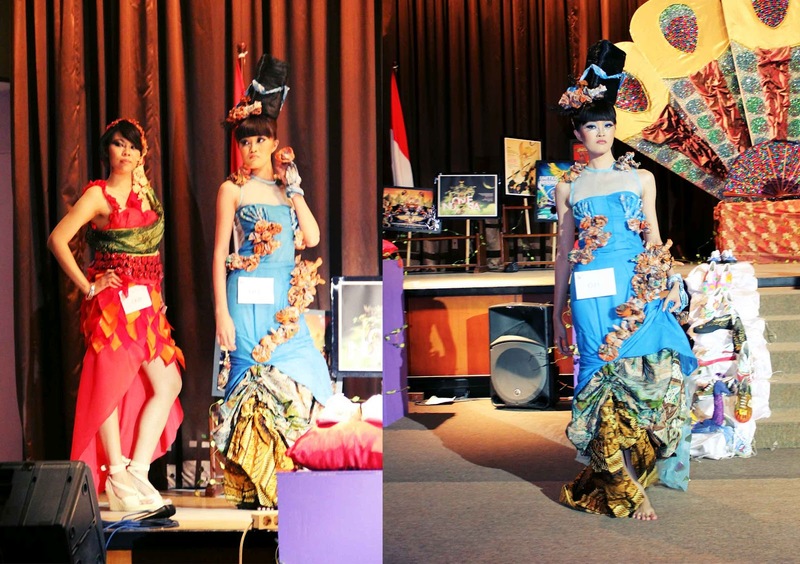 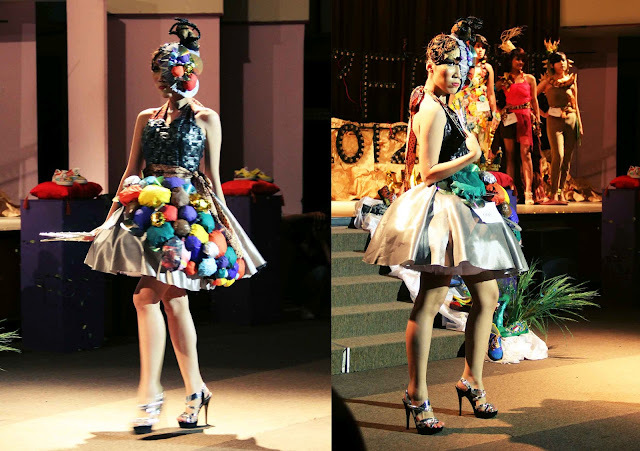 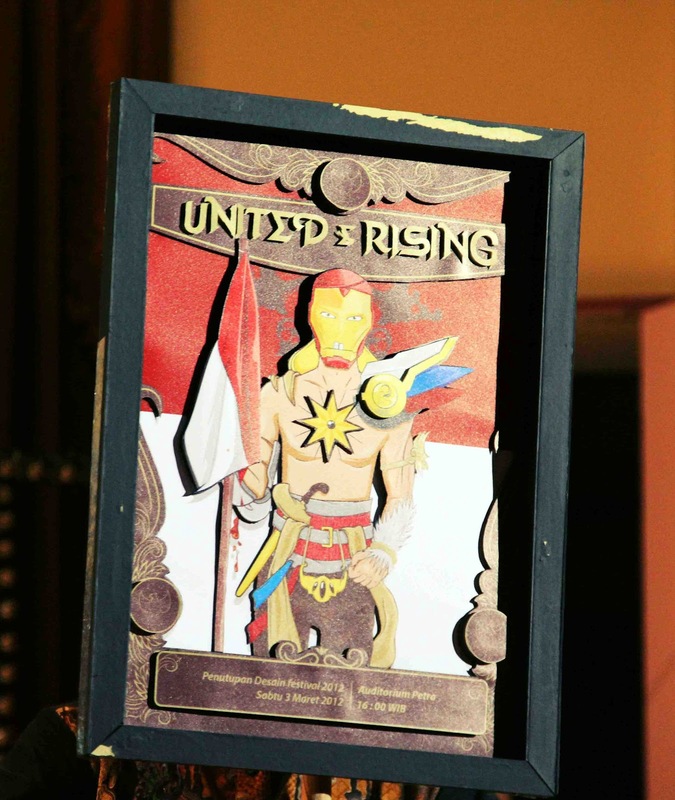 as I said before, there is fashion design competition in D'Fest 2012 and fashion runway for the tenth finalist. 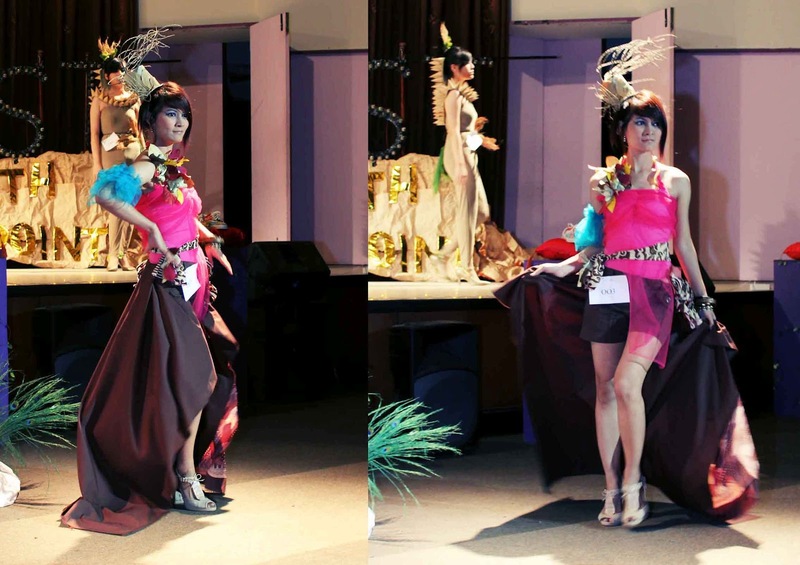 Actually the competitor not only ten, but they choose 10 best design to show off on the runway. 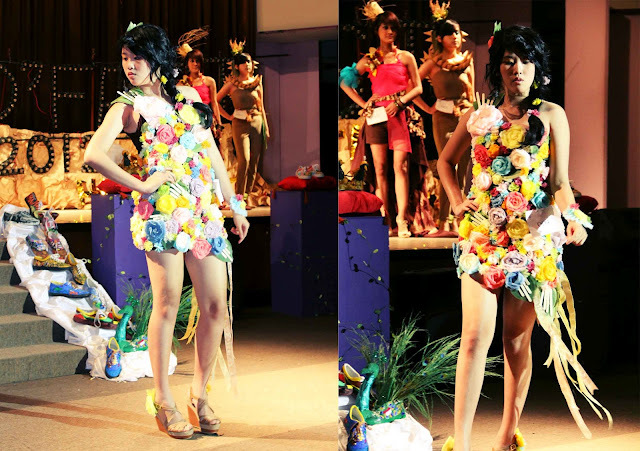 This year fashion design theme is Tropical of Indonesia, so the design is about flora and we must use recycle things to design the dress. 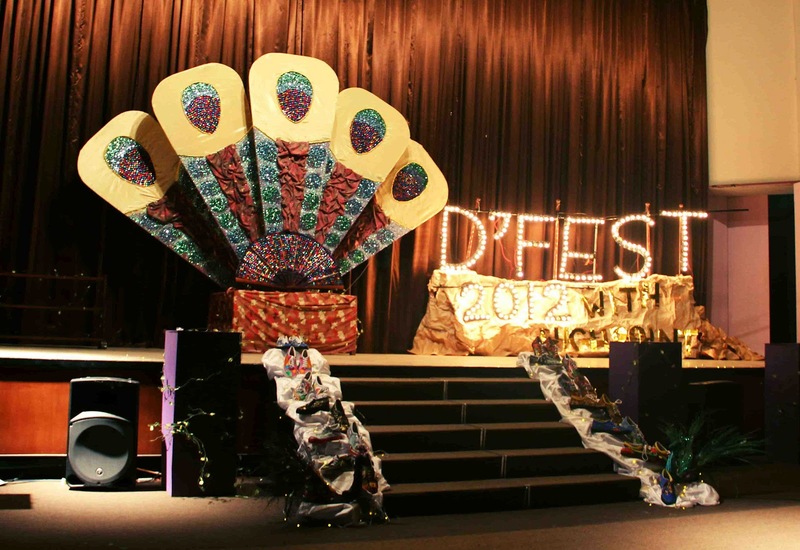 greattt pic! love all of them!